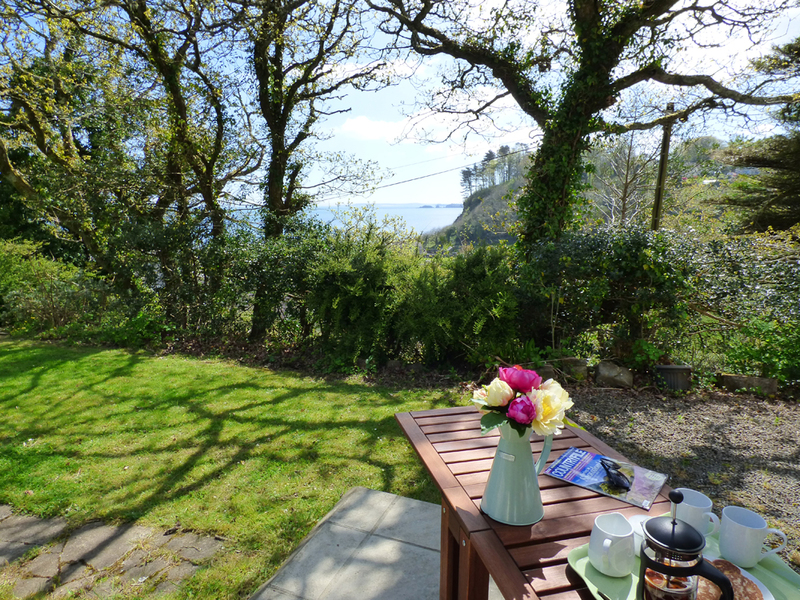 This delightful cottage is set in a wonderful location on the side of a valley, overlooking the village of Amroth – just a few minutes’ downhill walk from its glorious sandy beach and amenities. 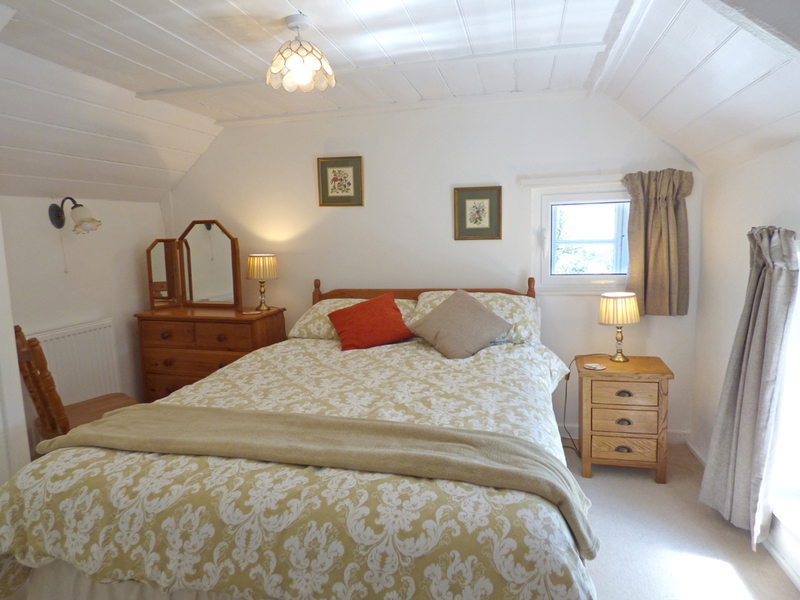 The original cottage has been extended, modernised and comfortably furnished whilst retaining its original charm; an open tread staircase leads from the cosy lounge to the pretty bedrooms above. 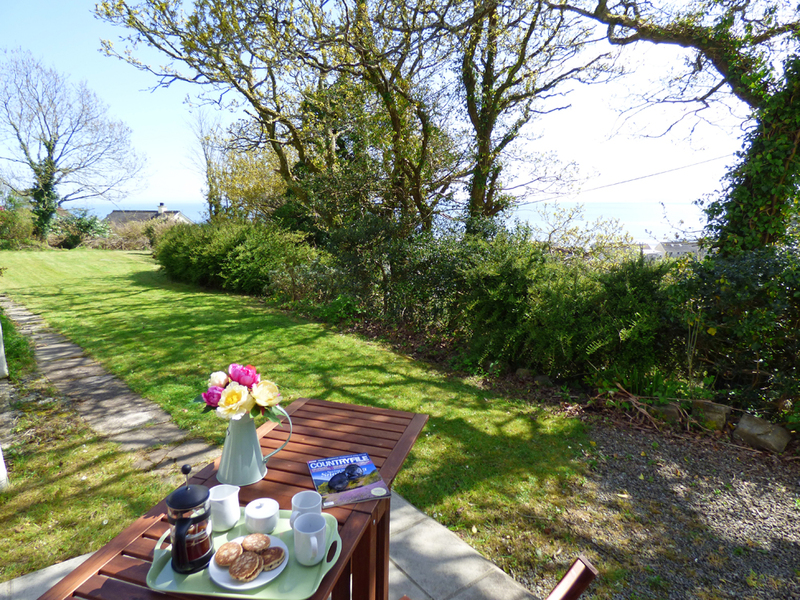 Outside, the south facing natural garden with its long lawn, bordered with trees is not overlooked and is an ideal spot for you to relax in peace and privacy or enjoy an alfresco meal whilst looking out at the attractive views of Carmarthen Bay and Caldey Island. The wild flowers and trees of the garden also attract many birds and butterflies. The woodland footpath to the National Trust Colby Lodge Gardens starts immediately below the cottage. More adventurous walkers can walk along the coast path or along the beach to Pendine or Saundersfoot or even to Tenby, exploring rock pools and observing the remains of our prehistoric and industrial past on their way. Not suitable for children under 3 years of age, babes in arms welcome. No baby equipment provided, you are welcome to bring your own. 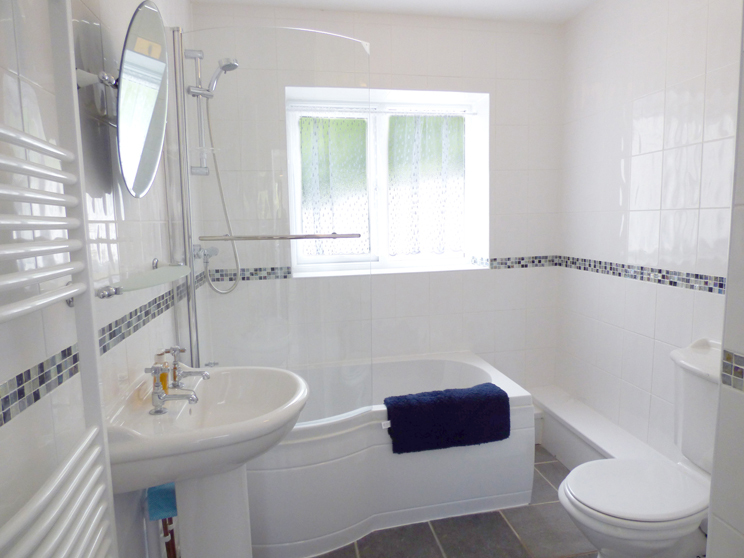 Ground Floor: Living/dining room, kitchen, bathroom/P-shaped bath/overhead shower/whb/wc. 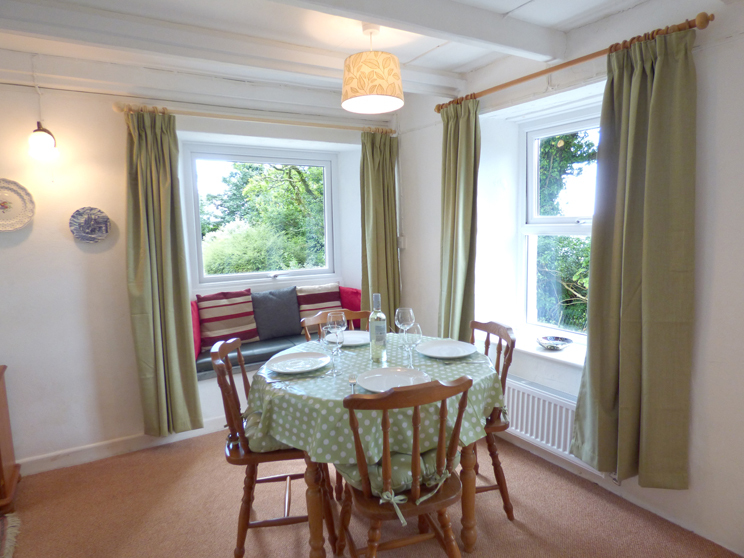 Facilities: Electric oven & hob, microwave, fridge, freezer, washer/dryer, TV, DVD player, WiFi, garden furniture. We loved this nice cottage and the beautiful garden! Very cosy, warm, so clean and well equipped! 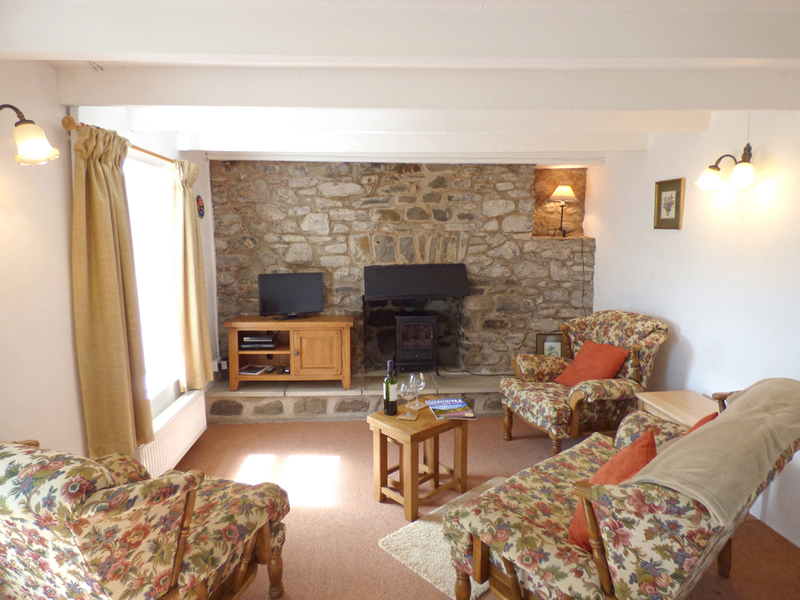 We have enjoyed our stay in your delightful cosy cottage. The views are excellent overlooking the bay. The weather has been mixed but sunny most days. The walk to Amroth very pleasant down the hill and after a meal and a few drinks, back up the hill and a short, slightly steep trek back to the cottage! Views across the bay very picturesque and I have taken lots of photos to show friends and family. 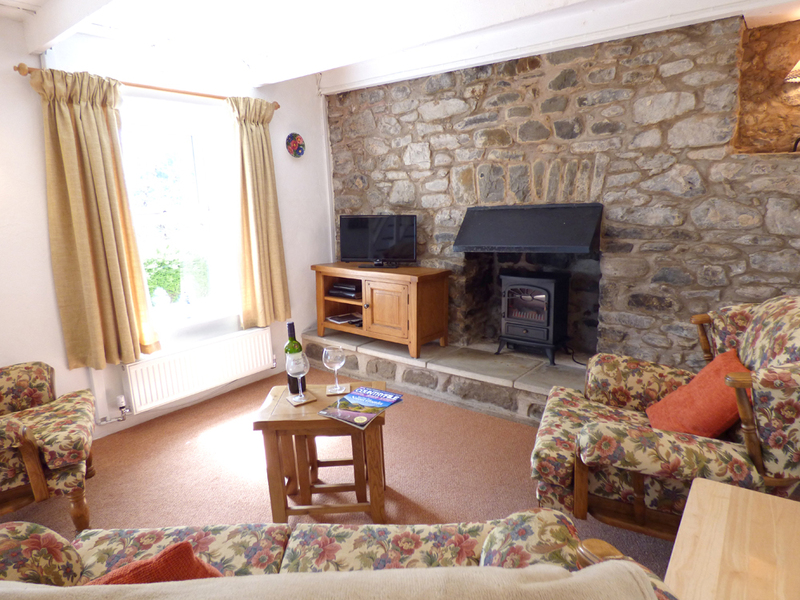 This cottage is situated in an excellent location for visiting the surrounding areas. 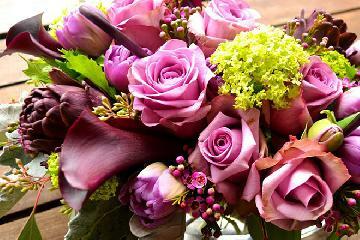 We have thoroughly enjoyed our stay in your lovely cottage. 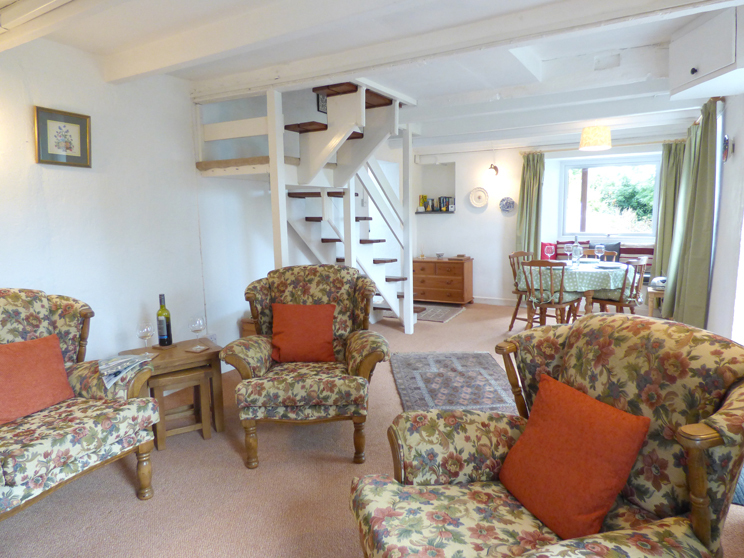 So clean, cosy and well equipped, with fantastic garden for enjoying a cuppa & a view over the bay. Loads to see and do in the area, but we have been enjoying the peace and quiet. Recommend Pembroke Castle, the Colby Woodland Garden for lunch and a stroll - easily walked to and from the cottage down the footpaths. Amroth Arms does a fine dinner and Pirates was lovely for lunch. 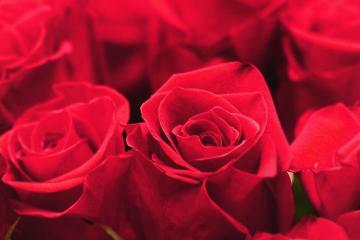 We've has a lovely holiday here. Our favourite day out was on the boat to Caldey Island. We've also explored the coast path in both directions, swum in the sea, and done a lot of digging on the beach. We also enjoyed watching the DVDs here in the house! 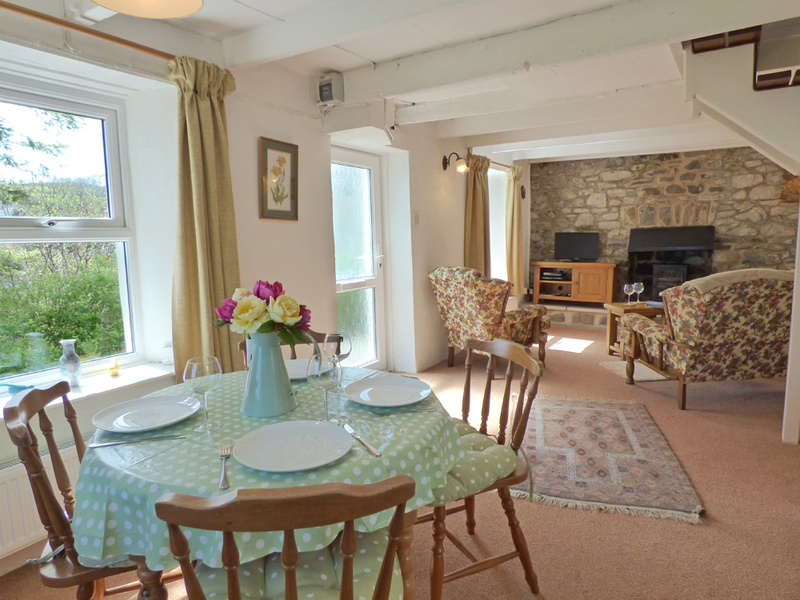 Lovely cottage - very clean and well equipped. Only shame was the rain we had! We've had a wonderful few days, weather was dry and sunny all week. 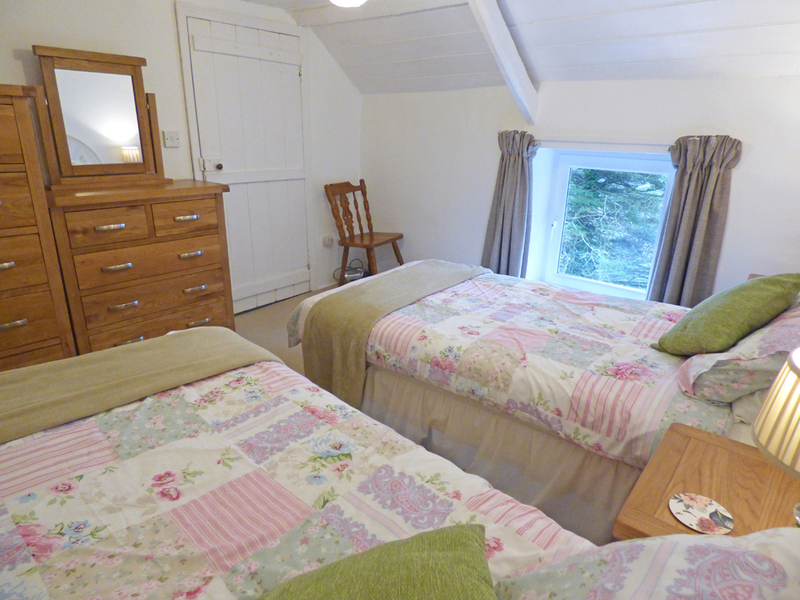 The cottage is lovely, cosy and spotless. 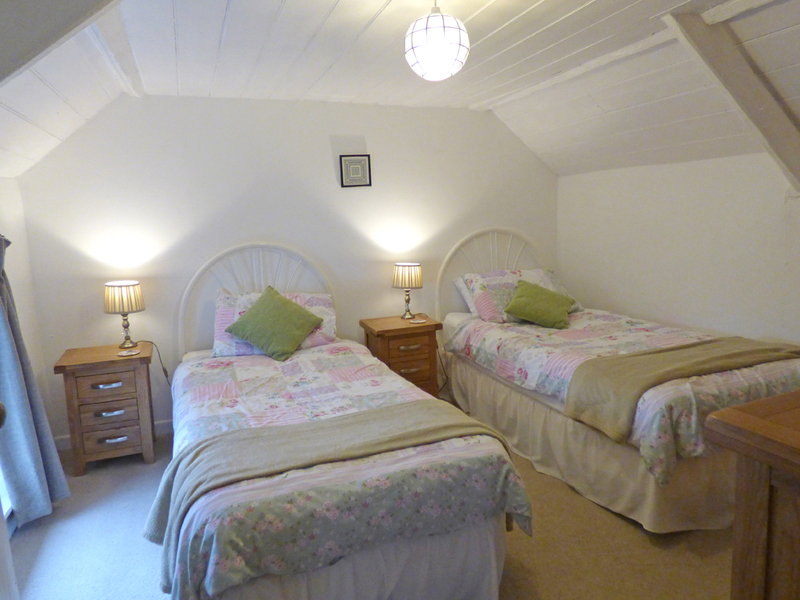 Lovely, comfy beds and peaceful secluded garden - a bonus! Enjoyed nearby walks to the beach and woodland. Cottage in perfect position, lived up to expectation. A relaxing week away. We had a lovely week - nice peaceful location. Cottage was clean and nice. Amroth area was lovely, good food at the Amroth Arms. Weather was lovely and good beaches in and around Amroth. Narberth is worth a visit - nice shops and cafes and worth driving to St Davids - the cathedral is stunning. All in all a great week. 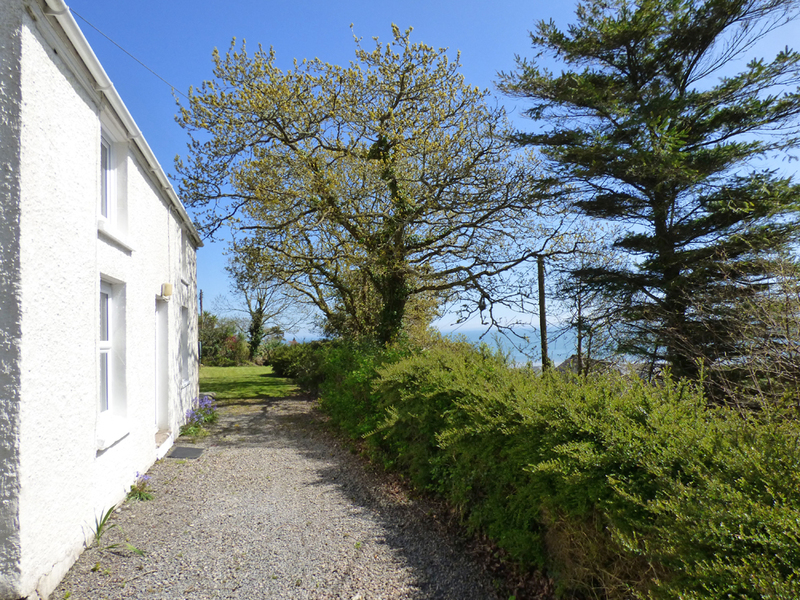 This is a beautiful cottage and we loved the seclusion and peace - especially in the garden. 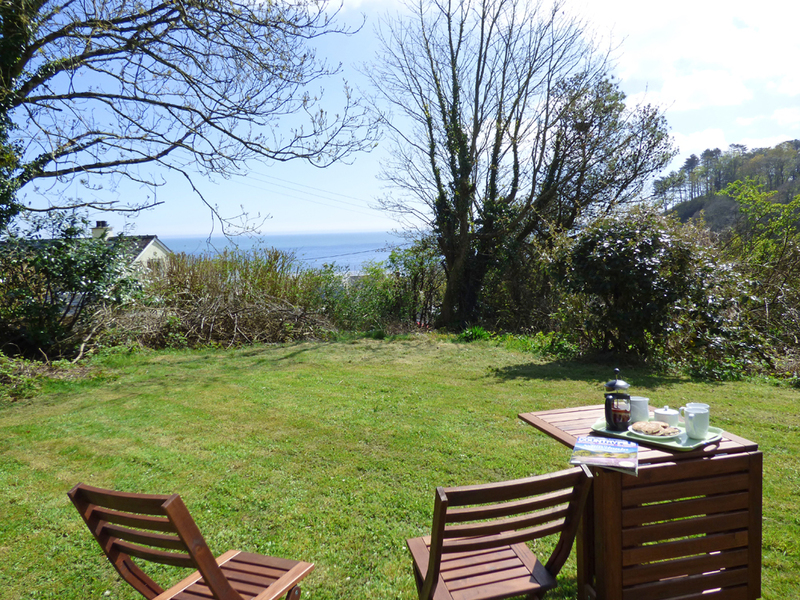 Amroth is lovely and we highly recommend the great meals at the Amroth Arms, lovely service too. Very much enjoyed walking to Saundersfoot. Can highly recommend Sunday lunch at the harbour bar and cafe there. I would describe the walk from Pendine to Amroth as very challenging! Colby Gardens is lovely too. Narberth shops are so great. There is a lvoely cafe at the back of the Welsh shop serving delicious cakes etc. We had a lovely week in a great setting. Thank you for a great stay, cottage was great with everything you needed. 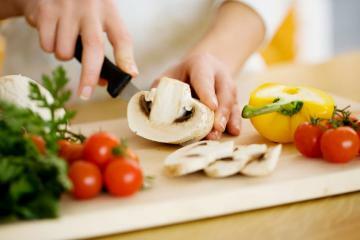 Will definitely give details to friends and family, it is the ideal location and we could not fault anything. 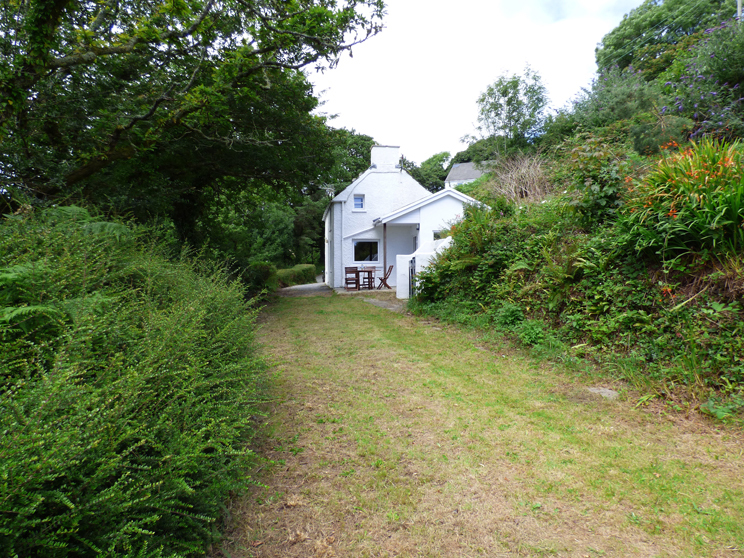 Cottage located on hillside approached by narrow country lane on steep gradient. Private parking on level gravelled surface for two vehicles but restricted turning space, large cars/vehicles may have to reverse to adjoining lane. Short rough gravelled path leads to cottage. 9 inch step into main entrance door way, 30 inch wide. Alternative entrance way through 30 inch wide kitchen door reached by two steps from patio, largest step is 6” high. Stone path leads onto level lawned garden with shrub boarders. 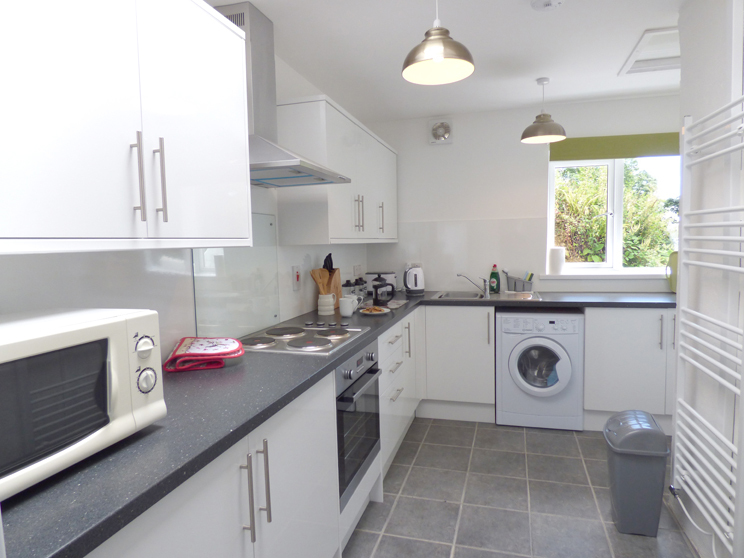 Ground floor facilities include sitting/dining room, kitchen, bathroom/whb/wc. 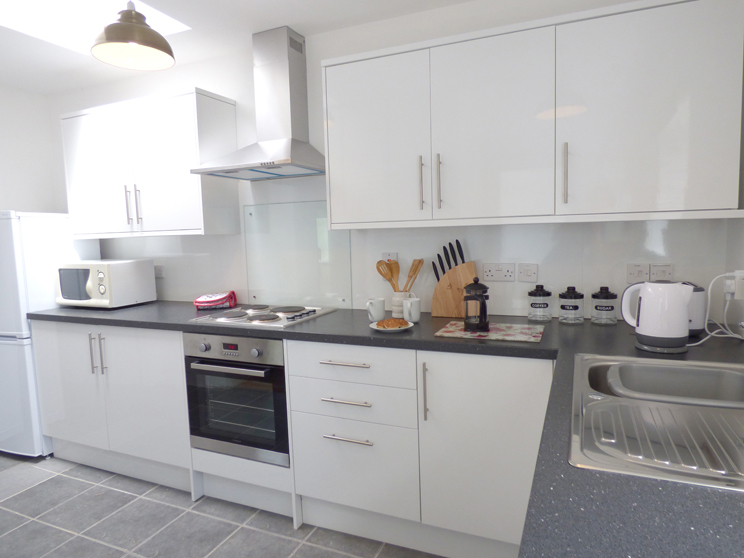 Kitchen has extensive worktops, ample storage space at low level and freestanding cooker with oven and hob. All rooms at ground level have good levels of natural light. Open tread stairs with 90 degree turn leads to first floor bedrooms. TV with teletext, and DVD operated by remote control. 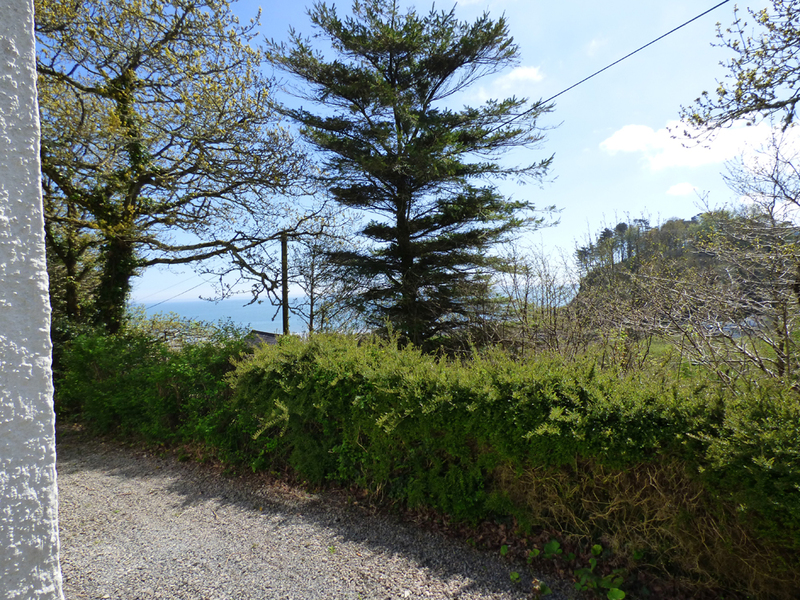 Local facilities at Amroth including bus service, beach, shops, pubs and restaurant are approx 400 yards away via steep downhill walk. 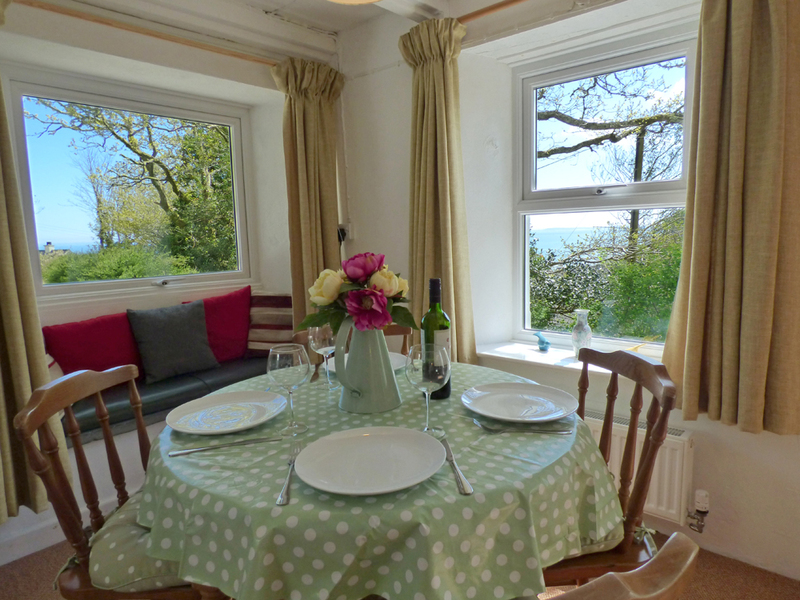 How would you like to contact us about Middle Hill Cottage?